Chutney, a gourmet condiment inspired by South Asian cuisine, is amazingly versatile. This Apple Cherry Chutney sauce, made with cranberries, cardamom, and other savory spices, can be used as a glaze for ham, poured over ice cream, or spread on bread for a delightful snack. 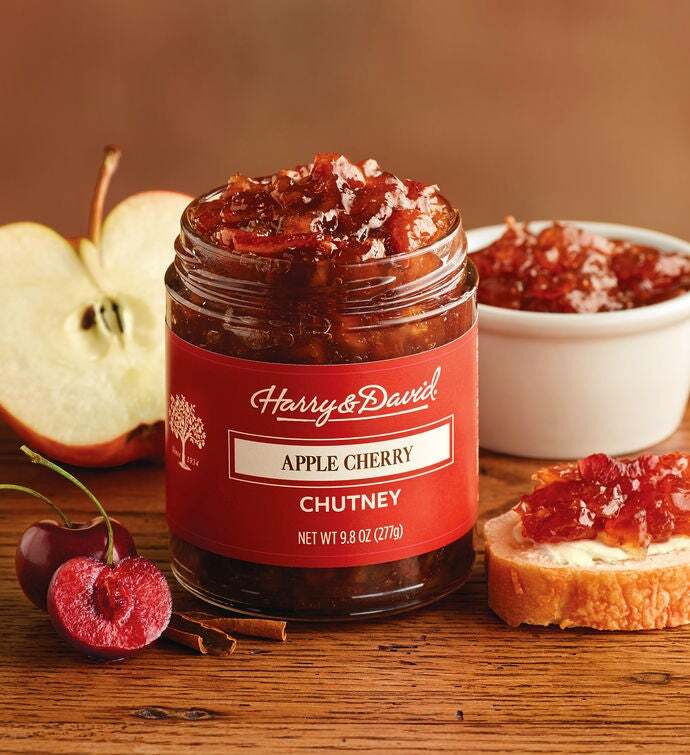 Apple chutneys are also perfect for mixing with whole fruit to create delectable fruit desserts.